Check out some excerpts from our stellar faculty performances. 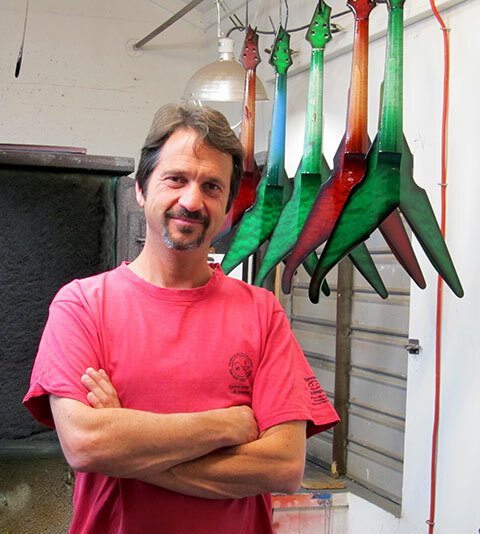 Joe bring his expertise and his sense of humor to his classes at MWROC, where you will participate in building an electric violin and learn how to master the maintenance of your own acoustic or electric instrument. See Joe’s work at the Wood Violins website. Sean Grissom has been an integral part of the MWROC faculty since our inception. 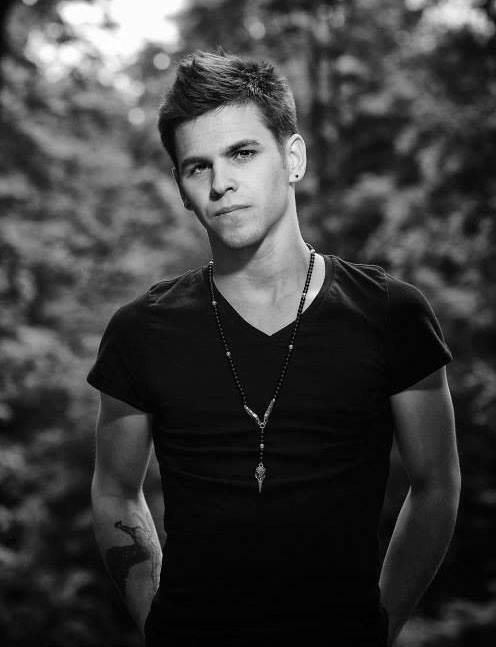 We’re thrilled to announce that he’s returning for MWROC 2014! Internationally known as the Cajun Cellist, has performed his unique brand of Country, Cajun, Classical, Swing, and Rock music from the streets and subways of New York City to the concert halls of Europe and the Far East. “O’Cello” – his hit one-man show – runs the gamut of musical tastes and vaudeville humor… proving that you can NEVER have enough cello! 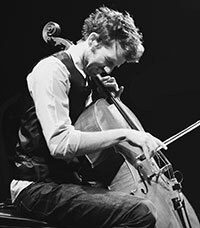 Sean has been on the forefront of the ‘Alternative Styles’ development, and has performed at World and American Cello Congresses, as well as numerous festivals. He is an active board member of the Violoncello Society, and is on the board of the New Directions Cello Association. On the rock front, Sean has been performing in original music groups since he first starting playing on the streets of New York. He has played all of the clubs in New York from CBGB’s to Webster Hall and beneath Madison Square Garden. He did three tours with his final mentor – Papa John Creach, of The Jefferson Airplane and Hot Tuna- both here and in Europe. 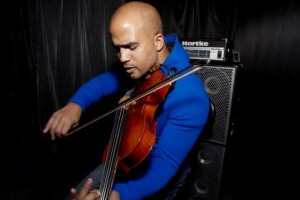 Because there is ALWAYS room for cello, he has performed and recorded with many of New York City’s singer/songwriters. Daniel Bernard Roumain (aka DBR) joined MWROC in 2014 and was an instant hit with our attendees! His acclaimed work as a composer and a performer has spanned more than two decades, and has been commissioned by venerable artists and institutions worldwide. Proving that he’s “about as omnivorous as a contemporary artist gets” (New York Times), Roumain is perhaps the only composer whose collaborations span the worlds of Philip Glass, Cassandra Wilson, Bill T. Jones, Savion Glover and Lady Gaga. Roumain has performed with countless symphony orchestras in some of the most prestigious venues in the world. Additionally, DBR’s music has been performed by the Brooklyn Philharmonic, Cincinnati Symphony, Des Moines Symphony, Detroit Symphony, Memphis Symphony, New World Symphony, New Jersey Symphony, Noord Nederlands Orkest, and the Vancouver Symphony, among many others. His most recent orchestral work, Dancers, Dreamers, and Presidents, is a 2010 Sphinx Commissioning prize and is being performed at many orchestras of an esteemed consortia. Roumain was the first artist to be awarded Arizona State University’s prestigious Gammage Residency, “a three-year commitment to an extraordinary performing artist that includes performance, creative time and resources, intensive training for ASU students and local artists and engagement with many of the local communities.” His outreach and residencies have garnered extravagant praise and long-term relationships with countless universities, orchestras, and performing arts centers He served as Chair of the Music Composition/Theory Department and Composer-in-Residence at The Harlem School of the Arts. Elijah Wood is a gifted, hard-working, in-­demand drummer who is fast becoming one of the next generation’s “best of the best.” At only 18 years old, Elijah is definitely an artist to keep an eye out for. 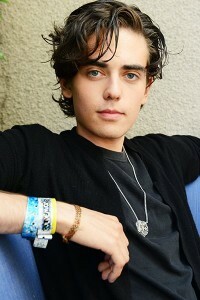 The rising star has been surrounded by music and the arts throughout his entire life. His grandfather was a painter, his grandmother a concert pianist, his mother a professional vocalist, and his father a violinist and founding member of Trans­?Siberian Orchestra. As a mentor to the young music makers involved in the EYS program, Elijah coaches the drummers and percussionists. As a peer, he influences them by the choices he’s made and the way he performs. And, as a role model, Elijah is an advocate for music education— all of which are responsibilities he gladly accepts. With a strong musical foundation, a rapidly growing international fan base and a constant commitment to reaching the next level, Elijah is well on his way to becoming a successful and influential drummer, musician and artist. Elijah is MWROC’s official drummer. This year, he will be teaching rhythm classes. Tracy Silverman – Lauded by the BBC as “the greatest living exponent of the electric violin”, Tracy’s groundbreaking work with the 6-string electric violin defies musical boundaries. The world’s first concert electric violinist, Silverman was recently named one of 100 distinguished alumni by The Juilliard School. 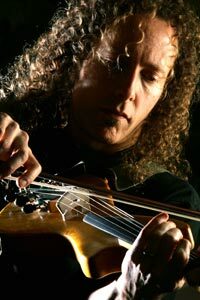 Formerly first violinist with the innovative Turtle Island String Quartet, Silverman premiered “The Palmian Chord Ryddle”, written for him by legendary composer Terry Riley, with the Nashville Symphony at Carnegie Hall in 2012. Silverman has worked with a who’s-who of rock, new music, and jazz, including Pulitzer winner John Adams, who composed his electric violin concerto, “The Dharma at Big Sur,” specifically for Tracy, recorded on Nonesuch Records with the BBC Symphony. Silverman tours internationally as a soloist with orchestras, with his one-man performances, and as a collaborator with many other artists and chamber ensembles. Tracy teaches at Belmont University and Vanderbilt University and lives in Nashville, TN. Rachel Barton Pine – It’s easy to be intimidated by the sheer immensity of Rachel Barton Pine’s accomplishments. The young Chicago based violinist has performed on stages all over the world in front of hundreds of thousands of people, released 13 albums, won countless prestigious awards, and played with musicians ranging from Placido Domingo to Jimmy Page. Yet throughout her career, Rachel has worked to demystify classical music and bring it to audiences for whom it has not been easily accessible. Groups as various as inner city children, sports fans, music students in developing countries, and even her fellow rock fans have been enriched by Rachel’s devotion to music and the infectious enthusiasm with which she shares it. Rachel performs with orchestras all over the world, as well as with many of rock’s biggest names. Rachel’s new album Violin Lullabies debuted at No.1 on Billboard’s Traditional Classical Albums chart, as No.1 on the Amazon Best Selling Classical List, and as No.2 on the US iTunes Bestselling Classical list! In between performances in revered classical music venues the world over, Rachel also tours with her metal band, Earthen Grave. Steve Costello joins MWROC this year as our guitar hero! In addition to Steve’s classes, he and partner-in-crime Elijah Wood will be joining forces to provide some great learning experience for our campers. Hard-hitting original rock songs driven by classic guitar licks and heavy riffs are what Steve Costello has always strived for. And in the years since playing the Northern Ontario bar circuit at the age of 13, he has more than adequately proven his ability to rock with the best of them. Now 22, Steve has travelled across the U.S. and Europe doing what he loves best: entertaining. And whether it be in his rapidly growing solo career, playing guitar for The Mark Wood Experience or his involvement with the Electrify Your Strings! program in schools across America, Steve continues to impress audiences around the world. With a never waning commitment to his music and a rapidly growing international fan base, Steve is doing whatever it takes to become a successful musician. He has shown time and again that he can rise to any challenge, and will continue to grow and express himself with an unrelenting passion for music. Tricks and effects: effect pedals, distortion, and more! 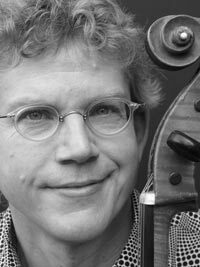 Lucas Shogren has been sought after throughout the United States and abroad as a cellist, composer, educator, and conductor. Trained classically, he began his career touring internationally as a chamber musician. While attaining success in a classically based quartet, Shogren also strived to discover alternative styles of music. He has performed with several rock bands in today’s top venues and music festivals across the United States. He has also been featured on dozens of recordings from various artists and record labels. Currently, Shogren has put his efforts into the band Clocks & Clouds. This three-piece band features violin, cello, and drums and combines both classical and rock styles to create an epic instrumental listening experience. On top of his performance engagements, Shogren has been commissioned to compose for several orchestras across the midwest incorporating his signature rock/classical style. These pieces have been performed all over the world. Jon Bivona is considered by many in the industry to be one of the premier guitarists in New York City. His talents and presence in the industry are diverse and exceptional. His work can be heard on the radio, television, CDs and during live performances.His playing has been featured on numerous television programs and networks such as NBC, CBS, ABC, USA, ESPN, ESPN International, Animal Planet and Outdoor Life Network. Jon has done all the guitar tracks for the Tour de France for the last three years, including the Emmy Award winning 2002 theme. Jon’s work has also been featured on ESPN Sportscenter, the PGA Tour on USA Network, the US Open Tennis in 2003 and 2004 and the theme song for the Phil Simms All-Iron Man Show. Jon currently performs with a multitude of bands and artists with ranging genres and trinfluences. These bands are Trans-Siberian Orchestra, The Mark Wood Band, The Sign, Lyza Wilson and the Shannon Breeze.Jon has been teaching guitar in the New York area for over 12 years to hundreds of students, teaching all styles and levels. Some of Jon’s students have gone on to become successful recording artists as well as graduates from some of the top music schools in the country. World-renowned guitarist Al Pitrelli from Megadeth and Trans-Siberian Orchestra trained him. How to “think” like a guitarist. Learn your favorite rock riffs!…and much more!!!! Bridgid Bibbens is a classically-trained violinist who has performed with major artists in the rock, pop and jazz worlds, such as Christina Aguilera, Tommy Lee, Mary J Blige, Jay-Z, John Mayer, Alicia Keys, Josh Groban, and Harry Connick, Jr. Television appearances include NBC’s Today Show, the CBS Early Show and The Late Show with David Letterman. She’s played to sold-out audiences in major venues throughout the US, including Madison Square Garden and Boston’s Banknorth Garden. 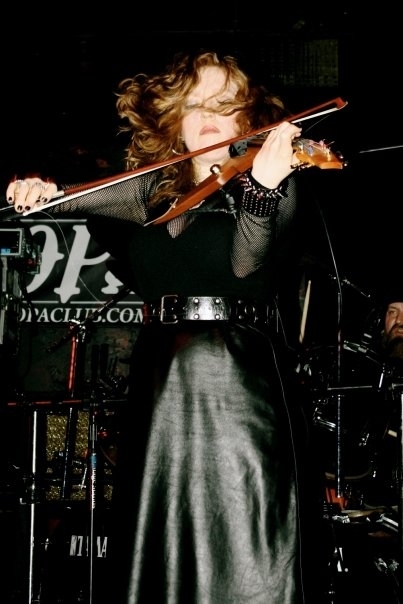 She’s also performed with Mark Wood and the Mark Wood Experience on numerous occasions, including a video for PBS and performances at the 2008, 2009, 2010 and 2012 NAMM shows in Anaheim, CA. Bridgid was also recently featured in an interview in Guitar World magazine and has been featured in ads for Bugera amps in Guitar World, Guitar Player, Guitar Legends, and several other magazines, proving yet again that the Viper is poised and ready to infiltrate and dominate the mainstream rock world! Bridgid has been trained intensively by Mark Wood using his groundbreaking educational methods in conjunction with his Electrify Your Strings!™ series of music education programs. She now travels the country with her Viper, sharing her passion for music of all genres with orchestra students in public schools all over the country.